My husband found me this fabulously weathered pallet amongst the other ones he had picked up for me. As we were having our pulling apart the pallets party(which is really what you need to call it because it is really no party and so you need to make it fun somehow) we were cruising right through them and then when we came to this one I decided I didn't want to pull it apart so it was set to the side, I had a vision for it. 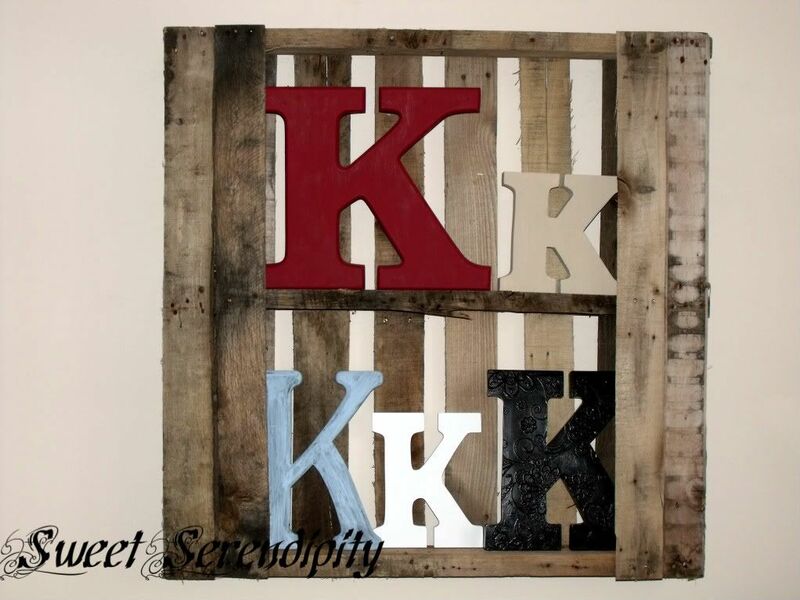 A few days later I pulled the middle pallet boards out leaving 2 on each side and then we hung it on the wall to display our newly painted K's. I love it and it has its perfect home in our homework room!